What is a healthy diet? This is a surprisingly difficult question to answer! There is an incredible amount controversy about what is healthy for a human being to eat. The vast majority of research on diet and nutrition is funded by the food and supplement industry itself. They design their studies to show their products in the most beneficial light possible whilst discrediting the health benefits of their opposition’s products. This leads to a large amount of poor quality research that is deliberately manipulated and taken out of context. As well as the food producers all of the various the dietary philosophies need to sell and defend their image of a healthy diet. From the paleo diet and ketogenic diet to the raw food diet and vegan diet. All of these diets claim they have the solution to optimal health for everyone and select their research carefully to justify their claims. The world of diet and nutrition is plagued by poor research, health exaggerated claims of ‘super foods’ and misleading marketing campaigns. The vast majority of nutritional advice is based on propaganda and poor quality selective research. In light of such a confusing mess it is no wonder people are confused about what they should eat! In this article I will give 10 tips for a healthy diet that anyone can apply to their lives straight away. This is not an in-depth article and does not include references to different studies although some general research is mentioned. It is an attempt to shed some basic common sense on the core basic principles of diet and healthy eating. Every single diet and research study unanimously agrees that eating processed foods are bad for us! The single most important thing anyone can do for their health is cut out the vast majority of processed foods, refined sugar, table salt and simple white carbs from their diet. This includes ready meals, takeaways, soft drinks, junk food etc. It’s so very simple; we all know it, yet so many of us continue to eat poor quality harmful food! Instead of using table salt use good quality sea salt. Instead of refined sugar and artificial sweeteners use natural sugars found in fruit, vegetables and complex carbohydrates. Naturally some processed foods are no doubt of superior quality than others and there are increasingly respectable and ethical businesses trying to supply us with healthier food. But processed foods, even from some so-called healthy organic brands and businesses, are generally motivated by shelf life and economics. Foods are designed to last as long as possible and be manufactured as cheaply as possible. Your health and nutrition is rarely their number one concern. So use your common sense, cut out the sugar and junk! The best way to avoid processed foods is of course to cook and prepare your own food! There is simply no substitute for spending some quality time and energy in the kitchen. Every popular diet emphasis the fact that we need to take responsibility for cooking and preparing our own food. This involves some planning, work and time if you are not used to it, but ultimately it is a thoroughly rewarding process. There are an enormous amount of resources, books and online guides that provide information on simple, easy to make, healthy recipes. Eating organic food largely decreases our exposure to harmful chemicals, preservatives and additives. There is a growing amount of research (along with our good friend common sense) that suggests that many of these chemicals may be toxic for our bodies and could be risk factors for a wide range of illnesses and diseases. I would advise to err on the side of caution and avoid exposure to potentially harmful chemicals as much as possible until the research is clear. Aggressive farming methods have depleted our soil of many key minerals leaving our foods with lower levels of key nutrients than they used to have. Many of our supermarkets’ basic range of fruit and vegetables are severely lacking in their amounts of vitamins and minerals. Eating better quality food helps you ensure you get more vital vitamins and minerals that are not generally as common in poor quality food. Sourcing foods from smaller farms and independent businesses is generally recommended wherever possible. Of all aspects of eating this rule is the most overlooked. Stick to simple combinations of food! Our digestive systems produce different enzymes to digest different foodstuffs, the enzymes needed to digest fruit are different than those needed to digest fish. If we are eating a large variety of different foods at once (especially multiple heavy food stuffs together like grain, meat and cheese) our digestive system becomes overwhelmed. We are therefore unable to digest and extract all the vital vitamins, minerals, fats, proteins and carbohydrates from our food. This is not to say we shouldn’t eat a diverse and balanced diet, just not all in one go! Eating different mixtures of vegetables together is encouraged. However, fruits and nuts are especially important to eat alone. My basic guidelines are; eat fruit and nuts alone (a hour at least between major meals), and stick to simple combinations of food for main meals. An easy way to do this is stick to the following; 1 type of grain (brown rice, wholemeal bread), a mixture of vegetables (mixing vegetables is fine! ), 1 type of protein/fat (egg, lentils, beans, meat). Proponents of the raw food diet believe that cooking our food destroys vital enzymes and nutrients in our food and that by eating purely or mainly raw foods we will absorb more nutrients into our body. Whilst partially correct this is also quite misleading. It is true that the more we cook our food the more we do destroy some of the vital nutrients in the food. Conversely, cooking also helps make other nutrients more available for digestion. Cooking helps break down the hard cell walls of plants, which makes it easier to access the vitamins and minerals they contain. Cooking also kills harmful bacteria in animal products such as salmonella that can lead to food poisoning. If you eat just raw food you have to spend an enormous amount of time and energy chewing your food, which is very unpractical and needless. The use of a juicer or blender can of course minimize this stage. However if we rely on a juicer and do not chew our food at all the enzymes from our saliva do not mix with the food and therefore we miss out on a crucial stage of digestion as well as missing out on a lot of vital fiber from vegetable juicing waste. Whilst it certainly has some advantages the reality is that a vegetable juicer is not a ‘natural’ way of eating and shouldn’t be over relied upon in a healthy diet plan. The solution is simple; eat both cooked and raw foods! Certain foods are of course generally better to eat raw such as fruits, salads, nuts and seeds. The healthiest forms of cooking for vegetables are steaming, soups and stews. This is another obvious yet largely overlooked point. We are designed to eat seasonal food produced in our own climate. Relying heavily on imported food grown in different climates is not optimal for our health and arguably has some negative socio-economic consequences. Ideally we want to rely on seasonal local produce for the majority of our diet. We are not designed to be eating mangos and bananas daily in the English winter! In relation to the raw and cooked food debate, seasonal eating also has an important role. In the colder months, autumn and winter, we should rely more heavily on cooked foods to help keep us warm. 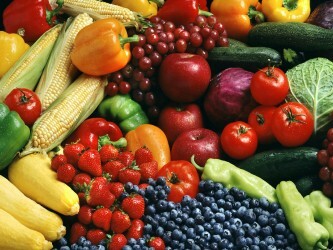 In the warmer summer months when fruits, berries and salads are abundant we should rely more on raw foods. Additionally if you live in a warm tropical climate where fruits and nuts grow abundantly then eating a lot of raw food is of course natural and healthy. However if you live in a cold harsh climate such as Scandinavia then it is very unhealthy to be eating predominantly raw foods during the winter. These cultures traditionally relied on cooked dishes and animal fats to keep them warm. Are animal products good or bad for us ? This is a difficult and controversial question that I will try and answer as objectively as possible. The research is clear that consuming large quantities of (especially processed) meat, fish, dairy and eggs significantly raises the risk factors for many of the most common diseases in the world. Vegetarians and vegans perform noticeably better in the vast majority of data regarding the health risk of the major diseases such as cardiac, diabetes, high blood pressure and a wide range of cancers. The research is largely in agreement that a plant-based diet is the healthiest way to eat and we should minimize our consumption of animal products considerably. Whether we should eradicate animal products from our diet all together is a different story. Certainly all processed meats and cheeses should never be a part of any healthy diet. Recent research by the WHO has clearly shown these substances (specifically processed red meats) are toxic for the body and can dramatically increase our risk of developing various cancers. The vast majority of our meat, eggs and dairy comes from factory farming. These animals are fed cheap GMO corn, soy or wheat rather than their natural diets of grasses and/or bugs and insects. They are fed growth hormones to accelerate their growth so they can be slaughtered more quickly and are fed permanent doses antibiotics throughout their lives to stop the spread of disease and infection. All of these potentially harmful substances are consumed when the animal or animal product is eaten. Even the free-range organic animals are often kept in claustrophobic conditions, deprived of sunlight and exercise. There is no rational ethical defense for factory farming, and the products produced by it are not healthy for human consumption. Fish are generally considered a healthier option; however wild fish especially contain a near toxic amount of heavy metals including mercury making them potentially very dangerous products to consume despite their healthy nutrient composition. The fishing industry is of course very harmful for the oceanic ecosystem and we are currently over-fishing the ocean in an unsustainable way. There are also legitimate concerns with farmed fish that are not immune from heavy metal contamination and share many of the same issues highlighted with animal agriculture above. So should we avoid animal products all together? I believe the answer to this question is, like most questions in diet, moderation. I believe that consuming small quantities of very high quality animal products (2-3 times a week or around 20% of your calories) added to a plant based diet is healthy and you can minimize the vast majority of the potential health risks. If you wish to eat animal products then I strongly recommend sourcing them carefully and ethically. Remember, add animal products to a plant based diet and not the other way around! If you are, or wish to go fully vegetarian of vegan there is little to no evidence to suggest this is an unhealthy lifestyle choice either. Almost all the vital nutrients we need are found in the plant kingdom and there is no need to eat meat, eggs or dairy to fulfil our nutritional needs. However there are a couple of key supplements that are required. Omega 3 fatty acids are uncommon in the plant kingdom and a vitamin B 12 supplement is required especially for vegans. Protein is more readily digestible in animal products so vegetarians and vegans need to eat a healthy balance of nuts, pulses, legumes, grains and beans to ensure they acquire adequate amounts. 8. Eat slowly, chew your food, don’t overeat and don’t eat late at night! Your mother was right; you need to chew your food! Chewing is a vital part of the digestive process where we break down the cell walls of our foods in order to access the nutrients within. Enzymes from our saliva then mix our food and begin the digestion process before the food even reaches the stomach. Chewing our food also makes us eat more slowly, which is also crucial. We don’t want to overwork our digestive system. We want to deliver the stomach small regular amounts of well-chewed food, not overwhelm it with large chunks of indigestible food as fast as we can! Eat until you’re around 85% full as a rough guide. We have an increasing obesity crisis in the western world and there is no doubt that over eating (even healthy foods) is a large factor in this. We don’t need as much food as we think we do and should not constantly be feeling full. Increasingly sedentary life styles and central heating have reduced the need for many calories for the average person. Remember it’s not how much you eat, but how efficiently you absorb that dictates how much nutrition you get from your food. Eating late at night serves only to fill our bodies with calories we won’t be using and puts added stress on our digestive system. This can cause us to have disrupted sleep, as the body is still busy digesting heavy foodstuffs when we are trying to lie down, go to bed and switch off our nervous system. Our evening meal should be lighter on average than lunch. Going to bed slightly hungry is recommended and not an unhealthy! Eating quickly, eating whilst distracted and eating whilst working are an increasingly common part of modern life. Unfortunately they all interfere with a healthy digestive process and the majority if not all digestive disorders are highly correlated to stress. Our autonomic nervous system is comprised of two parts. The Sympathetic and the Parasympathetic. Our Sympathetic is our ‘fight or flight’ stress response state. When the sympathetic nervous system is active our blood flow is directed away from our organs into the musculo-skeletal system. Our Parasympathetic nervous system is nicknamed the ‘rest and digest’ state for a reason. The blood flow is directed throughout our internal organs rather than our musculo-skeletal system, giving more energy for the digestive process. So when we eat we should do our best to ensure we are in this restful state, eating slowly, not working and not distracted. The research on drinking moderate amounts of alcohol and coffee is contradictory and controversial. Excessive consumption, especially of alcohol, is of course very dangerous. However there is no conclusive evidence to suggest moderate amounts of either substance are harmful, with some studies suggesting moderate amounts may be healthy. However these studies are inconclusive and problematic in many ways. The reality is that despite having many medicinal qualities, both alcohol and coffee are technically classed as irritants to our body and are addictive substances. Alcoholic tinctures and coffee have been used in various traditional cultures for their strong medicinal properties. They were not generally consumed daily, but used sparingly when needed. My view is that daily consumption of either coffee or alcohol is not particularly healthy because of their addictive nature. It is very easy to become dependent on coffee for your energy and rely on alcohol to help to unwind. If you find yourself ‘needing’ a cup of coffee every morning to get you going, or ‘needing’ a drink after work to help you relax then this is clearly not a healthy state to be in. My recommendation is to enjoy alcohol or coffee occasionally in very moderate amounts but not to rely on either on a daily basis. Coffee is healthiest when drunk black and have it separately from food as it inhibits the digestion of certain minerals such as iron. If you do not drink either there is no evidence whatsoever to suggest you will improve your health by adding these substances to your diet! It is my belief that if you follow these basic guidelines 90% of the time you will be doing very little wrong in regards to your diet. These guidelines can be tailored to suit individual needs, dietary preferences and a wide range of health conditions. Remember everyone is different and will naturally function better on different food groups than other people. Listen to your own body. Common sense, quality produce, proper moderation and a balanced diet will take you most of the way!